Two posts in one day. What? Who am I? 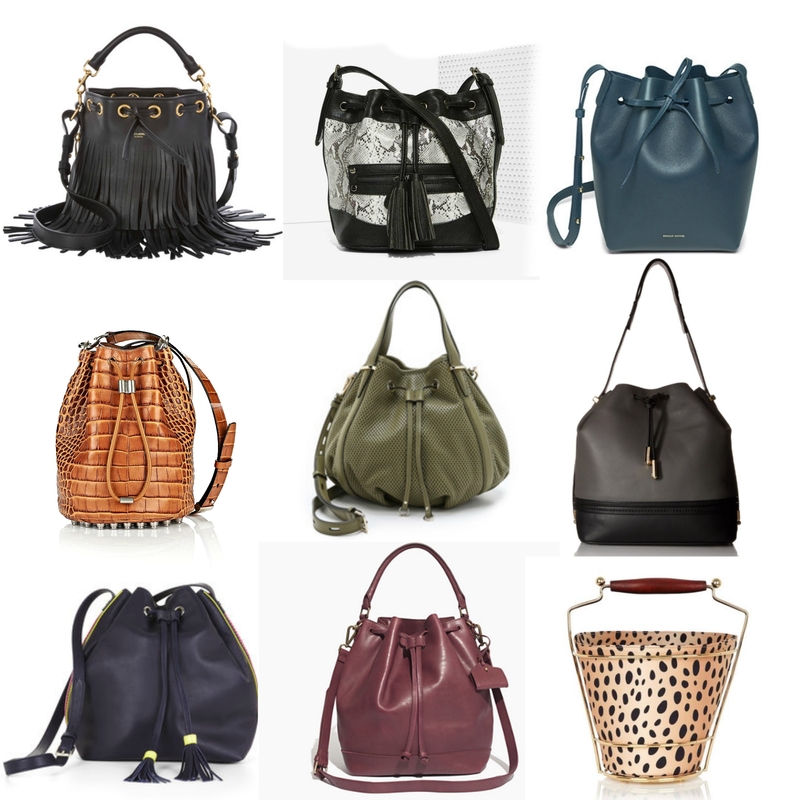 Anyways loves, let’s get back to the more important issue at hand and that is the overwhelming obsession with this fall’s bucket bag. Every designer from Phillip Lim to Saint Laurent to Rebecca Minkoff as well as the oh so coveted classic, original maker Mansur Gavriel have come out with at least one variation this fall and I want them all. These bags come with fringe, color blocked, quilted, embossed, plaid, huge, teeny tiny, with stars, mesh, basically anyway you want it, you can find it. If you don’t have one of these bags and you’re not me who has committed herself to 30 days of hell, I suggest you make your way to the nearest department store and pick up one for yourself before they’re replaced with something ridiculous. You just never know these days.